The grandfather of 11-year-old Celina Cass, whose death has been ruled “suspicious,” pleaded with police to solve the case and said he hopes it doesn’t leave unanswered questions like in the Casey Anthony murder trial. This is yet another reminder to the clueless and irresponsible jury in the Casey Anthony case where they returned a “not guilty” verdict in that tot-mom did not murder her daughter Caylee Anthony. For the news challenged jurors in the Casey Anthony case, guess what, in rural, rural Stewartstown, NH, that appears to almost be more in Canada than the US and has a population of 800 … they have heard of you, the miscarriage of justice and the Casey Anthony murder case. The search for missing 11 year old Celina Cass continues who has not been seen since July 25, 2011. 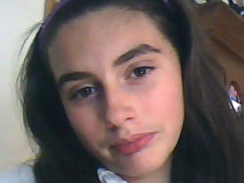 Celina was last seen in her room, at her computer, at about 9 PM Monday night. Which could explain why investigators are going over her computer activity prior to her disappearance. According to her parents she was gone Tuesday morning when they went to wake her up. The FBI has offered a reward of $25,000 for information that for information leading to an arrest in her disappearance. There was previously been a private $5,000 reward for information leading to Celina Cass’ return. Authorities in New Hampshire on Saturday vowed to find out what happened to a missing 11-year-old girl as the FBI offered a $25,000 reward for information leading to an arrest in her disappearance. “We are still aggressively, aggressively searching and hoping to bring Celina Cass home,” FBI Supervisory Special Agent Kieran Ramsay said Saturday. Dive Teams Search Bodies of Water for Celina Cass. New Hampshire Assistant Attorney General Jane Young spoke at a Saturday press conference for Celina Cass and announced that dive teams will search surrounding bodies of water. Young stressed that this does not indicate they are looking for a body, rather they refuse to leave any stone unturned. Right now, many have cast doubt on the girl’s step-father, Wendell Noyes, with reports that have surfaced revealing a clinical mental disorder, having been diagnosed with paranoid schizophrenia in the past, but police have been very careful to not name him a ‘person of interest’ at this time. Very little is know about Cass’ mother at this time. For more information, updates and to discuss the case, go to Scared Monkeys Missing Persons Forum: Celina Cass.